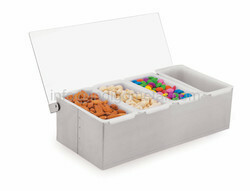 The condiment dispensers offered by us are made of durable plastic and bears lid with plastic inserts. 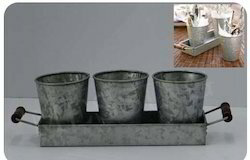 These are segregated into different parts to keep the condiments in a proper manner and helping easy serving. These are offered as 4 compartment & 6 compartment and are tested for durability, quality and hygiene. They form yet another buffet essentials.